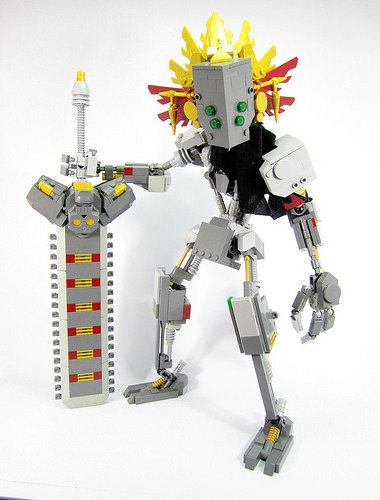 This unique mech by Bert S bears semblance to an Aztec skeleton warrior, which is a rare theme to be depicted in Lego. The elaborate headdress and giant sword are very distinctive features. The style reminds me of some other similarly themed works.